Baby Onesie (Newborn) Baby Onesie (6 Months) How many? 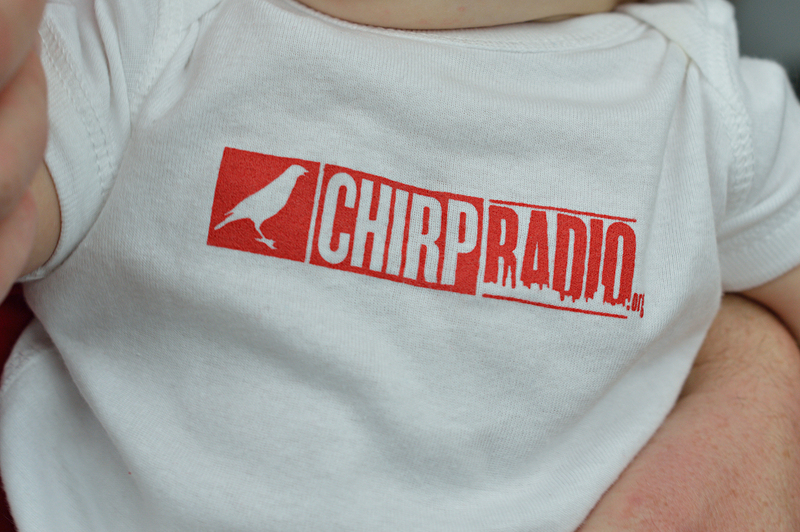 The CHIRP Radio baby onesie features the classic CHIRP logo in red, on white 100% cotton fabric. 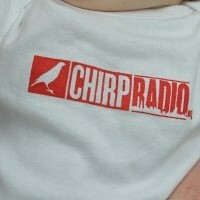 Available in Newborn-to-6 Months, 6-12 Months, and 12-18 Months sizes. This versatile piece can be worn all by itself, or with a cute outfit of your choosing! 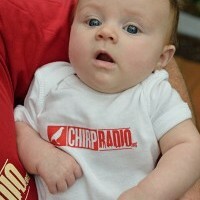 * Make sure your kids are the envy of all the other babies on the block with this super-adorable onesie! 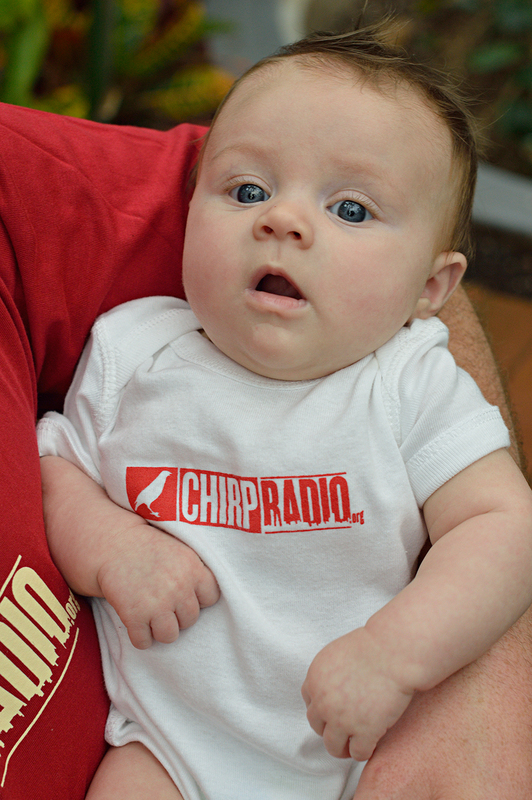 *Note: cute outfit, cute parents not included.